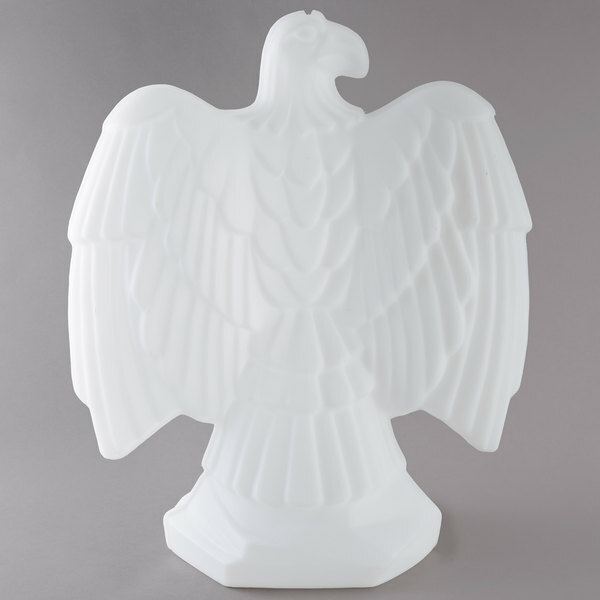 Create a memorable centerpiece for your banquet, wedding reception, or other special event with this Carlisle SEA102 eagle shaped ice sculpture mold! 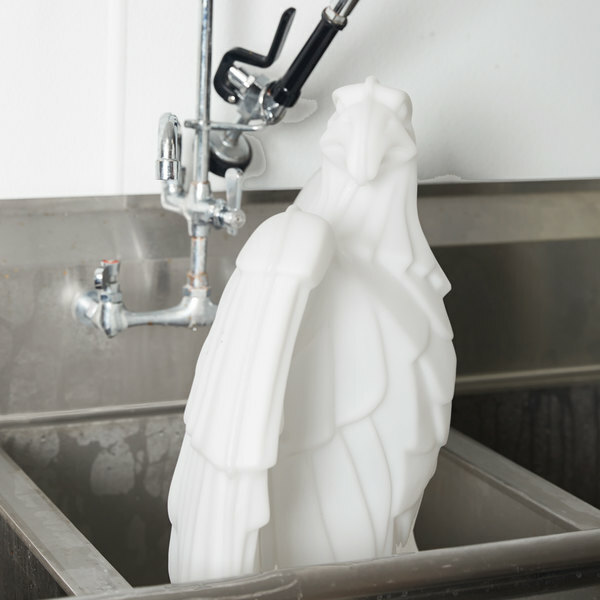 This mold features a majestic eagle figure with widespread wings and intricate detailing. Designed for one time use, this mold will help capture your guests' interest and draw their eyes to your beautiful table display. 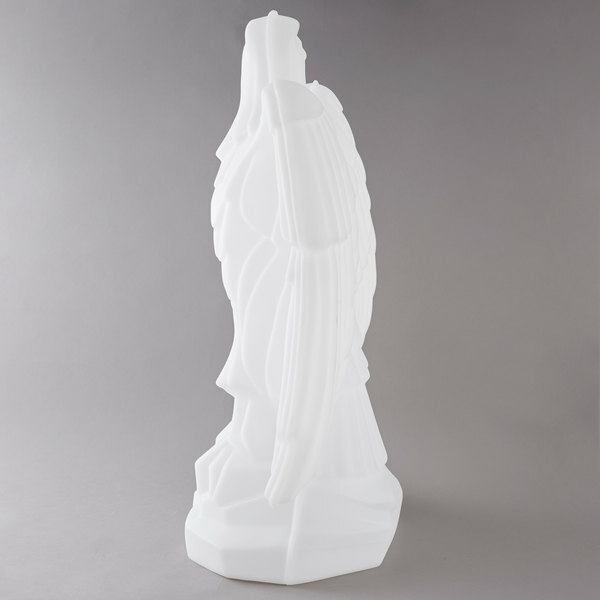 The mold is translucent-white and its polyethylene construction withstands temperatures down to -40 degrees Fahrenheit. 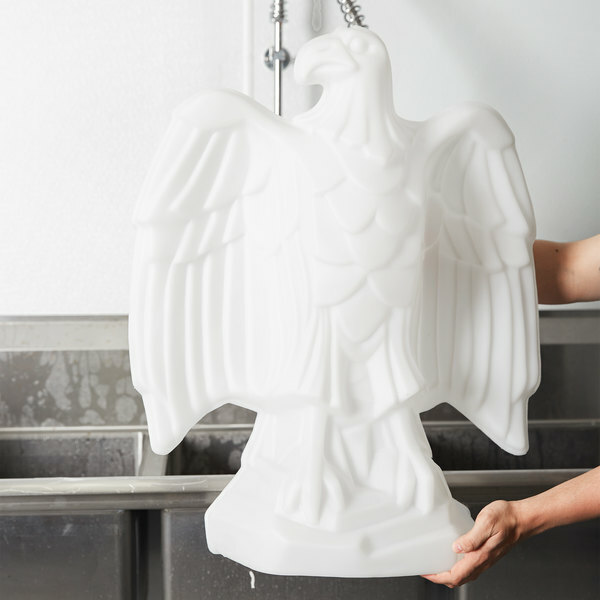 Combining an impressive appearance with quick and easy preparation, this ice sculpture mold offers the best of both style and convenience. 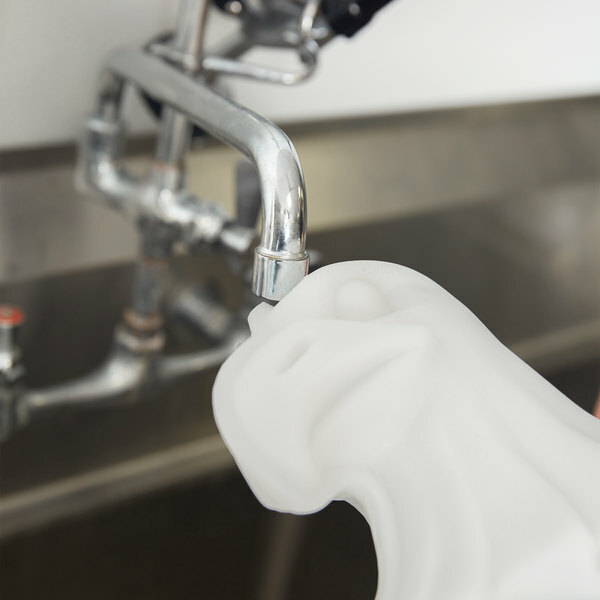 Simply pour tap water into the hole at the top of the mold and fill completely. Next, place the mold into your freezer and freeze from 48-72 hours, without exceeding 72 hours. 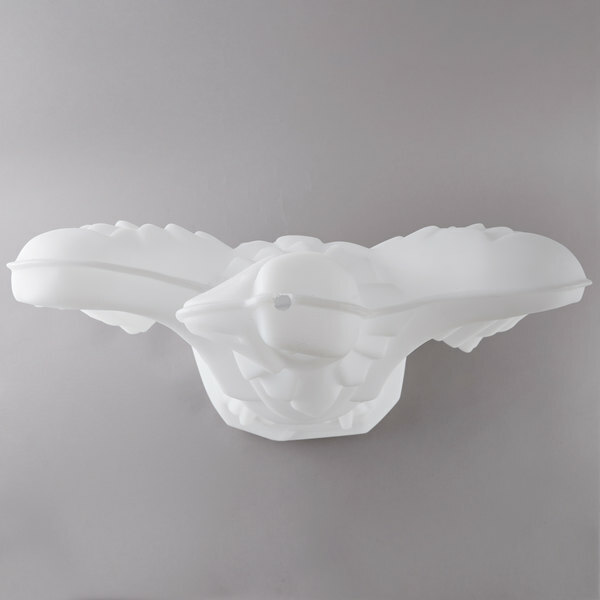 Cut open the mold using a standard carton or case cutter knife, and the exclusive EZ-Cut bead along the side of the mold will assist you when cutting through the polyethylene material. 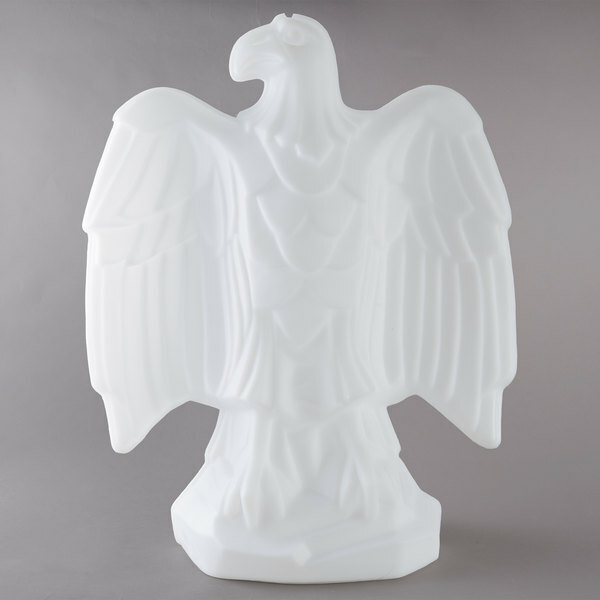 Impress all of your guests and enhance a special occasion with this eagle shaped ice sculpture mold! This product is great! This is the third time I have tried to use one of these molds and it was the first time it worked! It was placed on the entry way to a wedding lawn, and lasted about 4 hours in the October sun. USE A DREMEL WITH A CUTTING BLADE! Easy to use and worth the price to see everyone in awe over it. Recommend it for all who love impressing family, friends, and guests. This ice mold adds elegance to any buffet table or food display. Easily just pour in water and allow to set in the freezer. Easy as that and so affordable.